Guess where it'll be built and sold. Infiniti has provided us several indicators of its electric vehicle plans by way of its Q Inspiration concepts. Last January at Detroit we saw the QX Inspiration crossover and the year prior, the Q Inspiration sedan. Both strongly hint at upcoming production-spec versions. However, Reuters has learned that Nissan’s luxury brand will not only build its first electric vehicle in China but it will be exclusive to that country as well. 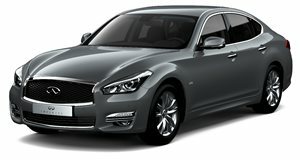 Infiniti is expected to make an official announcement indicating as such this week, just before the Shanghai Auto Show gets underway. It will be at that event where Infiniti will pull the sheets off yet another concept, which has apparently just leaked online, via Chinese website Autohome. It will be a China-only EV. But why China? What’s wrong with America? "China has the most growth potential for electric vehicles globally, especially in the premium segment,” Infiniti Chairman Christian Meunier said in the statement. 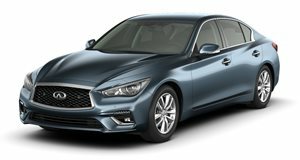 More recently, Infiniti announced its departure from the European market as part of an effort to re-focus its long-term business strategy and investments. Sales of Infiniti never took off in Europe, a market that’s heavily dominated by the likes of Audi, BMW, and Mercedes-Benz. China is attractive for Infiniti because not only is it the world’s largest auto market, but there’s high demand for premium vehicles as well. The decision to go all-electric with its first-ever China-only vehicle stems from the Chinese government’s anti-pollution requirement for upcoming new cars to either be EV or plug-in hybrids. Beginning in 2021, all Infiniti vehicles, including those sold in North America, will either be all-electric or e-Power hybrids. Nissan is determined to carve out a luxury market niche for Infiniti and it identified electrification as a way of doing just that. These leaked images clearly show a sedan with fastback styling and a general design language that's amazingly similar to those other aforementioned concepts. We're also being told it will ride on a new and flexible platform designed specifically to accommodate electrified powertrains. "It will have a flat floor, and if you are a passenger you can cross your legs or stretch out your legs," said Infiniti design chief Karim Habib. So far one thing is clear: this new Infiniti EV’s main targets will be the Tesla Model S, and upcoming Porsche Taycan and Audi e-tron GT.